BIG plans & surprises for MCAC 2015! 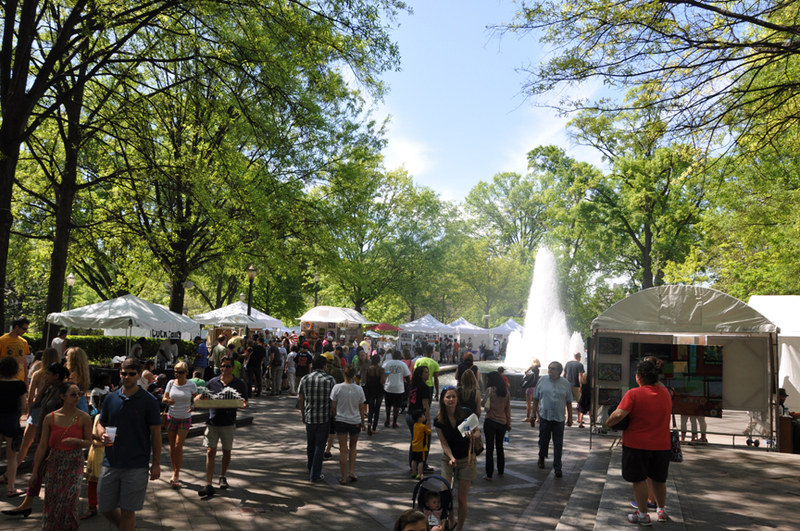 Magic City Art Connection, Birmingham’s largest festival, is turning 32 on April 24-26, 2015. As a somewhat banal milestone, it’s anything but, because 2015 is in process to be a BIG year with GREAT plans and other FUN surprises in the works for everyone! Visitors will notice some simple but dramatic changes at the Festival. There will be more leisurely spots to lounge, linger & visit in Linn Park. Take a seat at our newly designed Park Place Cafe. Or head to the other end of the park for more culinary options at MCAC’s Boulevard Cafe, and in-between the BIG Stage for great arts performances and music. Add cool way-finding symbols to help you navigate your way through all of the artist booths with so many new faces, kids workshops and festivities, and even Corks & Chefs VIP upgrades for an enhanced experience. We’re excited about the partnerships we’ve forged with Jack & Jill of America’s Fit. Family. Fun on Saturday, and the Birmingham Museum of Art… just follow the animal footprints to a special BMA exhibition of Birmingham’s very own Frank Fleming, well known for 5 Points South’s famous fountain.